The Swedish Victoria Assembly celebrated the 100th anniversary of June 2003 in Berlin’s cathedral, not far from the TV tower. The queen’s lemon yellow suit matches the tan. 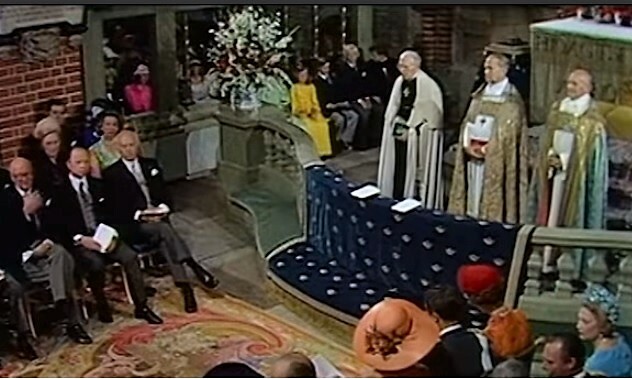 Next to her the king and German federal president Johannes Rau who listen to the archbishop KG Hammar. A crowded church is the powerful voice of opera singer Bengt Rundgren. It’s high to the roof, 115 meters up the top of the dome. Just 17 meters lower than for the model, St. Peter’s Basilica in Rome. Berlin’s judgment. Photo: Ingemar Lindmark. Silvia laughs, King Carl Gustaf seems disträ. Perhaps he thinks of the ancestor Pope Duke Fredrik I in a sarcophagus in the crypt under the church floor. Between the relatives Gustaf III and Victoria, then Crown Prince who named the 1903 parish. A fire bomb was fired in 1944 by the dome, which was raging. The fire became like a crematorium for the many bodies of the dynasty Hohenzollern. Tourists are now able to see the severe fire-damaged sarcophagi. East Germany welcomed the West Bank of the Evangelical Church to rebuild the cathedral in 1975. 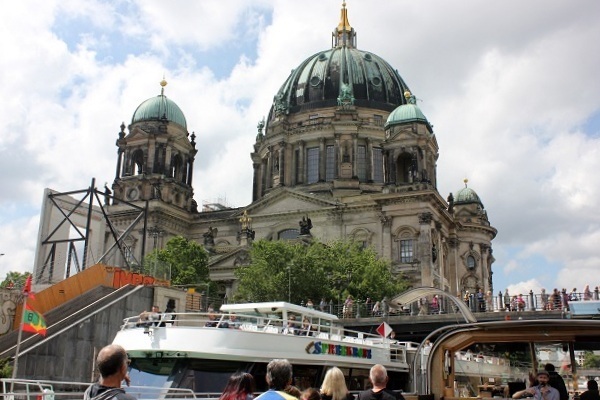 It was reinvented in 1994 with a Christian cross, as the DDR regime did not allow earlier. The church stretches on the throats as royalties and clergy after the act pass through the altar. Suddenly, the queen views a gray-haired lady, clumsy and so small that she barely notice the bench. Silvia leaves the procession, walks forward and gives her a warm hug. Click to the source, Victoria Assembly Assembly. Imma Svinge in the Christmas market. From her archive. Hardly anyone outside the church knows who she is: Imma Grossmann Svingel, widow Carl-Gustaf Svingel who died seven years earlier. 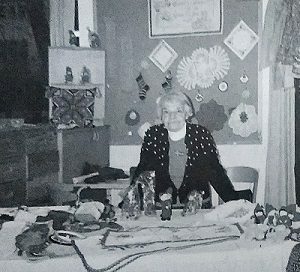 In the Church Sewing Association, she is well acquainted at the meetings, usually Mummi, as she is called, for coffee in the parish home. Some have seen her sell in church Christmas baskets, your Silvia donated blankets. Two worlds meeting each other in the church bench. A queen in a castle where she gives glory to gala dinners. An old lady who barely survives the retirement, because the relief work on Haus Victoria in money was badly paid. Imma and Carl-Gustaf Svingel were true rojalists. This admiration was strengthened when Silvia 1981 visited Haus Victoria in the company of teenage Crown Princess Victoria. The kindred queen often visits Germany and the Victoria Assembly is warmly in her heart. There, Imma and Carl-Gustaf – with the king’s medal on the rock team – met the queen several times. The medal and signed royal portrait became the venue of the couple’s flat on Fasanenstrasse. Band hugs in the church bench put together two women whose life here and were running in the same paths? Both with a passion to help others. Imma as an anchor for recovery for old and refugees at Haus Victoria and before for children at Schwedenheim. Queen of the World Childhood Foundation and after mother Altzheimer also in dementia care . Did the hugs feelings conveyed by two women who, together with the families, made sacrifices in the political windshield during and after the war? You do not know that. Perhaps there are traces in their life stories? 1944, the year when Imma was twenty, died her mother and in December the brother broke down. During the outbreak of war, the family had moved from Berlin to Berlin-Strelitz where she graduated. Instead of reading a librarian, she was commissioned by the Reicharbeitsdienst to work hard on agriculture. The professional dream was at hand for dad, who was a teacher, wrote novels and poetry. Now he was a prisoner of war and Imma stood alone. 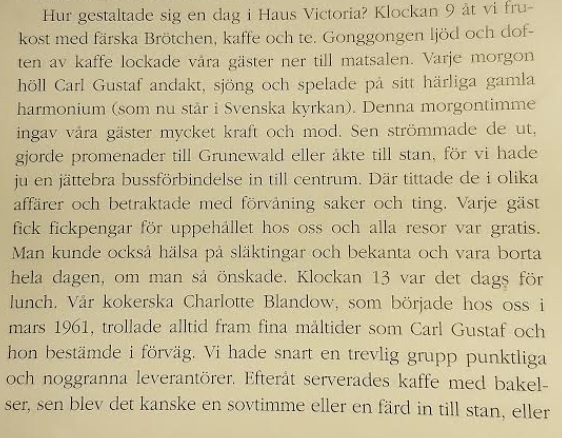 Arvid Grossmann liked the books of the father and contacted – which led to marriage and moved to an apartment in Schlachtensee in southwest West Berlin. 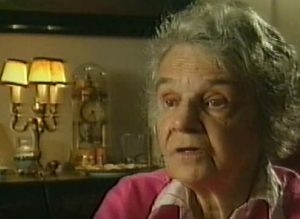 The daughter Adelgard was born in 1948, the year when the Berlins had died under Stalin’s blockade unless they were saved by the American air bro. Heidi came in 1950 and his brother Adelbert two years later. Arvid was not a birthplace and therefore the poor family had to recruit in Sweden. 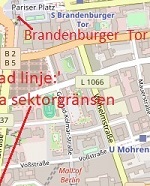 Thousands of Berlin children had those years recovered in Swedish homes. There they learned Swedish for German customer, the hosts usually do not. Which rarely led to lifelong acquaintance. Britta Holmström’s European Mission was one of the organizers in cooperation with Sven Jörgensen at the SJ Berlin office. 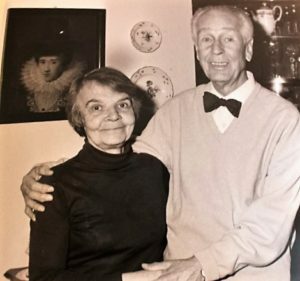 Harry Söderman (The Forensic Legend, who built a Norwegian Liberation Army during the war and released prisoners in Oslo’s concentration camps), organized Berlin trips to Sweden and also hunted a police officer who ran to the DDR. He stayed in the house of her Majesty Heribert Jansson. 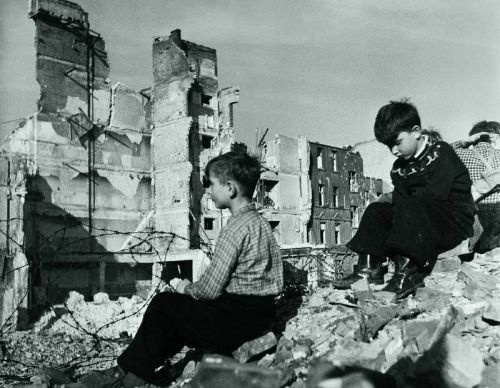 Berlin was insecure; in the little unconventional bombs in the ruins, in the great fear of an occupation. The job riot, which Russian tanks hit in 1953, became a warning signal. That year, Carl Gustavf Svingel took care of refugees at the Inno-European Mission Guest House in Smoland Vrigstad. Embedded image. Click to the source. The parents Grossman only had to stay for three months in Sweden. There was a divorce in Germany. Without safe living, Imma let his daughters Adelgard and Heidi stay with the foster parents in Norrtälje. Not so few of that time’s mothers recognize themselves: to sacrifice for the children to get it better. As in Finland, when children were sent to the neighboring country after the war. Or Astrid Lindgren, Harry Söderman’s secretary, for some time, had to have his son, unknown as it was called, at a couple in Copenhagen. A conscience choice that might explain the books and the love of children. Fast for Grossmanns, it ended happily. 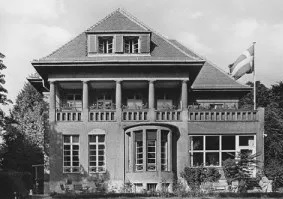 The children enjoyed themselves and often traveled to Imma in Berlin, first to the Schwedenheim where mothers and children rested and then Haus Victoria. Good childhood, like the childhood child Carl-Gustaf Svingel. He often ran to mother Alma, who worked at the retirement home right next door. Imma Grossmann has to find a job and therefore went to nearby Schwedenheim in Schlachtensee. She followed the songstorm she heard, went there asking the tenor, called Svingel, and got the job. ”I remember the staff as really nice people,” said Adelgard Grossman, who married Göhran in Eskilstuna. Silvia was thirteen when the family returned from Brazil. ”It was a horrible situation,” she acknowledged in a television interview about how she got stuck in a border station because the people’s police did not accept her Brazilian passport. ”I always think about it when I see refugees. For they remind me that you can suddenly end up in a situation where you have no control and do not understand what is happening ” . 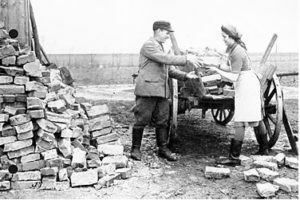 Harassment by police in the sector by road, the Germans were used to. For Silvia, who lived for ten years in Brazil, the experience was shocking. She did not remember or had experienced the phases around the end of the war. But heard from parents and others you can suppose. 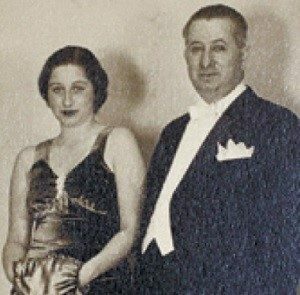 Just before the beginning of the war in 1939 Walther Sommerlath switched to Efim Wechler’s small metal factory against his wife Alice’s share in a coffee plantation. The deal has been like a wet blanket over the family, although Silvia – like many other Germans – can not be charged for an earlier generation’s actions. Whoever won the transaction can be discussed. Wechler, who was Jew, could survive in Brazil and Sommerlath stood out with a bombarded factory at the end of the war. No land was paid for the production, nor for the confiscated residential property in Berlin. Brazil declared war in 1942 and then nationality was not popular in the Third Reich. 25,000 Brazilian soldiers participated in the Allies invasion of Italy and further north. Silvia’s uncle, who was a physician, let Sommerlath bumble over bombing over Berlin. Mother Alice stayed in Heidelberg where Silvia was born in 1943. Dad Walther commuted to Berlin to oversee the factory’s forced supplies of gas masks and other military components. The end of the war was a chaos. Danish opponents grabbed fifteen-year-old Ralf and a mate after they rotted two days and then lay hidden. 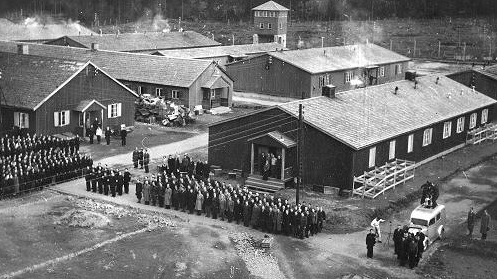 They were released by a Danish general from the prison prison camp and appeared after four months in Heidelberg. The Sommerlath family ended up in a collection camp with many Brazilians in the British occupation zone. Only in 1947 were they allowed to travel to Brazil. The crimes began in Hamburg where those with children and luggage had to walk to a crowded foreign camp. It took 28 days for coal-fired Steamer Santarém to ship them to Rio de Janeiro. It was there on a beach in Copacabana Walther met 17-year-old Alice de Toledo . She was indeed promised to another but after having jointly rescued a little boy from the waves said that click. At Schwedenheim, Svingel kept silent and received as a revelation ”I want to build a home for old people where they can rest themselves” . Perhaps the retirement home in Hjärtum was a model. An unattainable dream for most but not for Svingel with his persuasiveness. The Swedish Church in Berlin was processed and the Swedish part of the Lutheran World League relieved the checkout. A patrician villa in the town of Grunewald was bought at a discount. After May Kullenberg’scollection in Göteborg, trucks were sent with equipment. In January 1959, the first round of old-age descendants from East Germany came for a month’s recreation. Carl-Gustaf and Imma Svingel in the apartment on Fasanenstrasse. Photo from Adelgard Göhran’s archive. ”It just said clicks.” The order of the press hit is winged. 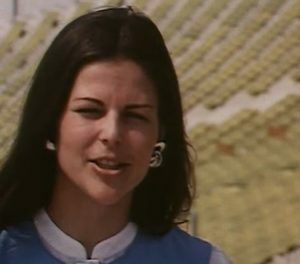 Inside the Olympic Stadium, Crown Prince Carl-Gustaf in the binocularsspanned a beauty of Brazilian Indian blood in the veins, though he did not know at that time. It was 1972 and it became a date at the smoky disco Kinki. What did they talk about? Only they know, but you can guess. Sure about the job as an OS hostess and deputy chief of protocols, a role she gained thanks to the degree in English and to be good in six languages. Probably, Silvia tasted some Swedish words she learned from the annual summer visits in Värmland. Dad Walther Sommerlath was Director of Uddeholm, first in San Paolo and in Düsseldorf after moving the family from Brazil in 1957. Their parents’ possible Nazi sympathies were not touched because they had no idea. The problem was on their throats a lot later. 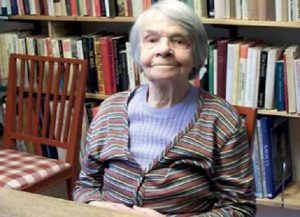 Silvia probably told her uncle, theologian Ernst Sommerlath in Leipzig and the cousins ​​in the DDR she could not meet. The Romans were kept secret, if it were to keep the peacekeeper on halters or to complete the mission for the Winter Olympics in Innsbruck 1976, to be untrue. Then the click was public and the royal wedding took place in June of the same year. The relatives in the DDR were invited, although the question was how to get through the iron curtain. Carl-Gustaf Svingel solved the problem: ”I received them without any financial or other remuneration” – for the DDR mourned the Swedish relations. ”The Queen committed himself to his family, and the Queen’s family should be grateful for today,” said Wolfgang Vogel, lawyer in an interview. Embedded image. 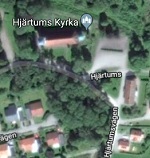 Click to source in Sydsvenskan. Worse it was for Ernst Sommerlath who, without clear paper, got stuck in the border station to the west. That he went to Sweden and waved a royal couple did not believe the people’s policemen. ”Call and check with Carl-Gustaf Svingel” was the professor’s straw straw. After a conversation, just passing through – if one gets to believe the narrator. Erich Sommerlath in black and white. Click to the wedding video. Say, that was a real Ashling saga. Carl-Gustaf Svingel had previously known Professor Sommerlath who, with his publication, was an authority in Lutherteology. Svingel used to live with him during the visit to the synod in Leipzig. They became famous when Gustav II Adolf was celebrated November 6th in nearby Lützen. Imma Svingel. The SVT documentary in the Reporters program is available at the Royal Library in Stockholm. Click. ”Before Carl-Gustaf to Lützen it took two to three days to pack the car,”told Imma Svingel of a television reporter. ”We packed and packed cheese, coffee, meat, preserves, bananas and fruit” . Could it be that bible and longing for banana countries contributed to the power of Monday demonstrations – some in the Nicola church in Leipzig. It was in autumn 1989 short before the wall fell. With psalm singing and in the beginning a Swedish tenor from Haus Victoria – as for the thought of the trumpets who broke Jericho’s walls . Previous Previous post: Sekunder som fångar ett helt liv. Imma Svingels möte med drottningen.